While every worksite is different, they all share a common characteristic. Proper organisation can help keep any work environment remain more productive. Keeping track of important materials is vital for speedy project completion times and customer satisfaction. But since every worksite has a different size and layout, finding a reliable storage unit that can fit in at any place can be hard. While certain types of cabinets may function well in one environment, their size or setup may make them less effective in other settings. The Workplace Depot is excited to offer a product which can help any worksite manage small to medium sized items more effectively. 290 Series Cabinets are a versatile and high-quality storage resource designed to withstand the demands of a commercial worksite. 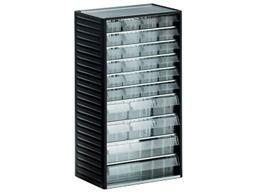 What Is the Purpose of 290 Series Cabinets? 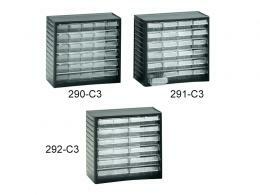 290 series cabinets are designed to provide commercial sites with a storage option that can be used in any situation. While these units provide numerous compartments to store tools, components, and other small and medium sized items, their main benefit is their ability to be placed in any location. Not only can these cabinets be placed on any wall, but they can be used on a work surface as well. This degree of versatility and adaptability makes 290 series cabinets a great choice in a variety of commercial settings. Whether it’s the storage devices associated with the IT field or the tools commonly found in automotive worksites, numerous commercial locations utilise small and medium sized materials. Keeping track of these more effectively can help a worksite become neater and run smoother. Item can be transported to a workstation as needed or even mounted in order to make them readily accessible. 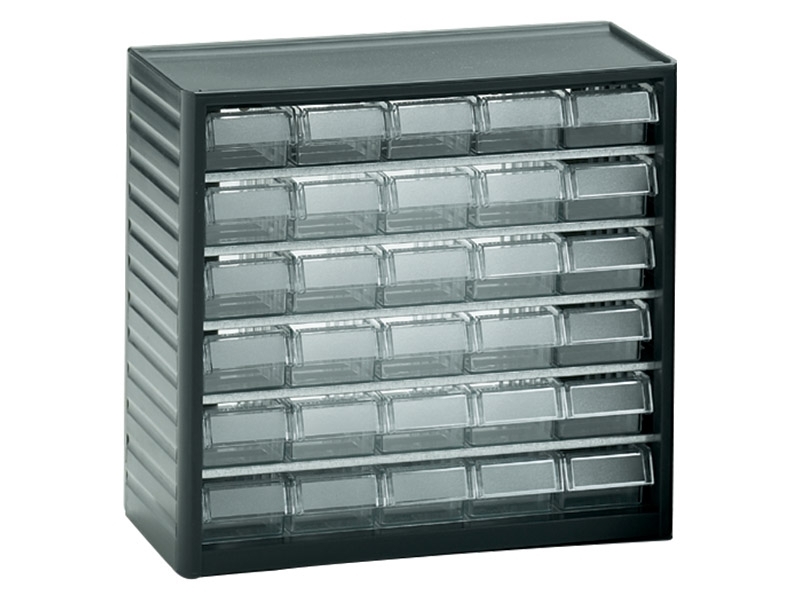 This product can be used by anyone who has ever wanted to keep their workstation (or any workstation) organised more effectively. Every smart manager knows that proper organisation is vital for keeping a worksite productive. These storage units can withstand the demands of any industrial site, and can be secured to a wall near any workstation to make accessing materials easy for anyone. These robust polypropylene-cased and galvanised steel units can hold up to the debris and oils typically found at a busy industrial worksite. 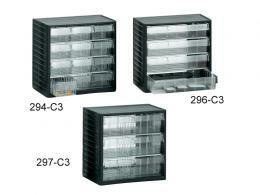 With recessed door handles and an easy mounting mechanism, these cabinets are great for both large and small worksites.